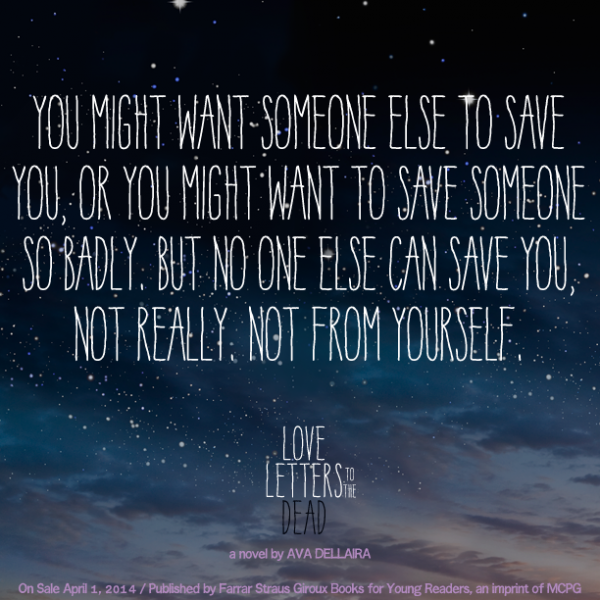 Last night I finished reading Ava Dellaira's novel, Love Letters to the Dead. 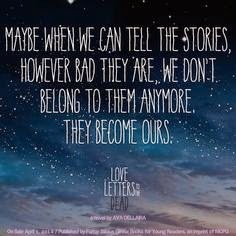 I think towards the last half of the book tears had flooded down my cheeks. "It begins as an assignment for English class: Write a letter to a dead person. Laurel chooses Kurt Cobain because her sister, May, loved him. And he died young, just like May did. Soon, Laurel has a notebook full of letters to people like Janis Joplin, Amy Winehouse, Amelia Earhart, Heath Ledger, and more -- though she never gives a single one of them to her teacher. 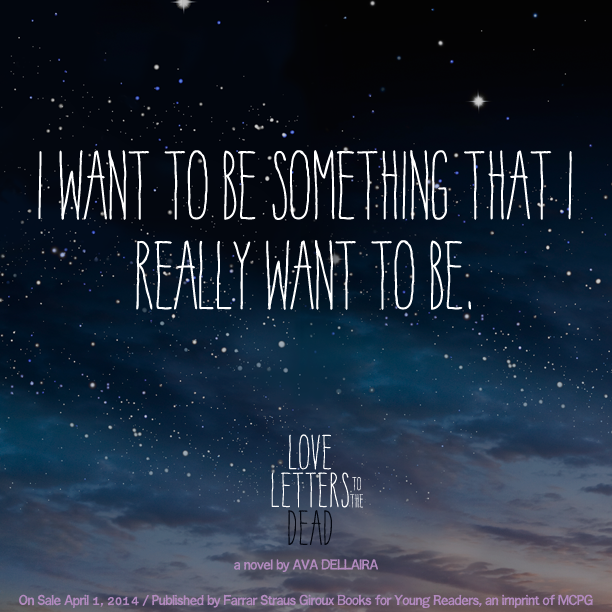 She writes about starting high school, navigating new friendships, falling in love for the first time, learning to live with her splintering family. And, finally, about the abuse she suffered while May was supposed to be looking out for her. Only then, once Laurel has written down the truth about what happened to herself, can she truly begin to accept what happened to May. 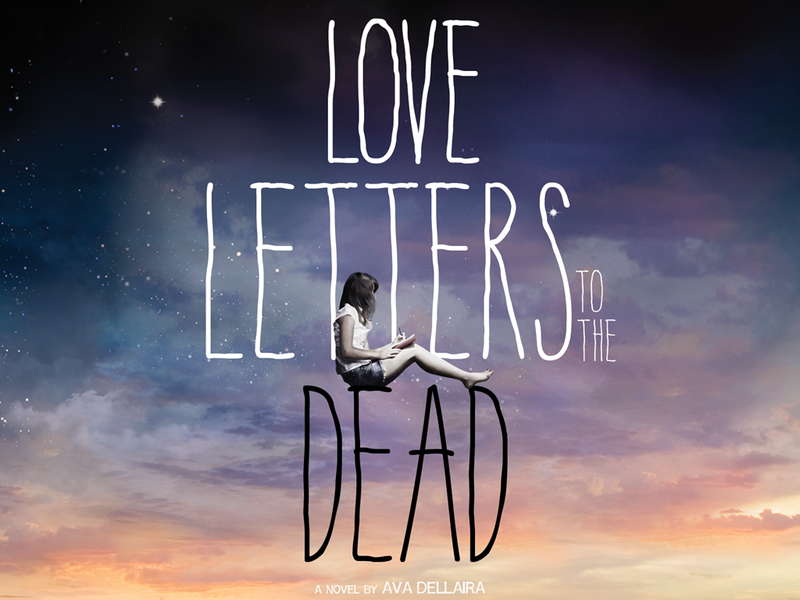 And only when Laurel has begun to see her sister as the person she was -- lovely and amazing and deeply flawed -- can she begin to discover her own path in this stunning debut from Ava Dellaira, "Love Letters to the Dead." The little summary above pretty much gives away the entire plot of the book. But I did not begin this blog post to review the book. I began this blog post because of a thought that came to me last night, as tears streamed down my face, and I watched May spiral and in her self-destructive path - she nearly destroys her little sister as well. I felt my heart swell with hurt as I watched Laurel tolerate abuse just so she could hang out with her sister, be a part of her world and catch fleeting glimpses of the girl she'd loved and adored all her life. It made think of my elder sister, how she could have spiraled too - and how she couldn't have protected me from the world. Only, my sister is the exact opposite of May. I've rarely met a person who is as put together as she is. Our mother had told her that I was a helpless little thing, so very tiny, when I was born and she should take care of me. I think she took those words to heart. Because my sister has been protector from a very young age. As I grew up, I found that protection to be suffocating, but I realized last night that perhaps that was what I had kept me away from trouble - especially on her watch. Elder sisters are not supposed to put their younger sister's in the path of danger. They are supposed to be the guardians, the protectors, the shelter and the world, into which the younger one feels safe. Perhaps it is unfair to expect so much from the elder sister too. Because they might also be pretty young, hoping to find a way, perhaps looking for their own safe haven. Sometimes they find it, and sometimes they stumble in the arms of danger - and sometimes they put themselves in danger, as they try to distract themselves by flirting with trouble. While I know the story was fictional, there is deep seated reality in it as well. Children are abused and sometimes they really cannot find the words to express what they'd experienced. Sometimes words are really not enough to tell everything as it is, sometimes it is so hard to speak about the overwhelming experiences. So we keep quiet. And we have in us the deathly silence that scares everyone who loves us and cares for us. I understand now why my mother worried when I hardly spoke during my formative years. Why my sister would sneak looks into my journal...they were just trying to make sure that I was alright. That nothing had happened to make me hole up into my shell. When something terrible happens, the defensive mechanism of all children is to go mute. Children have this strange notion that if they never spoke about it, if they pretended it never happened - it would all go away. What their little souls is unable to comprehend is the fact that, one day everything that they keep inside them would explode. And it would not only destroy them, but anyone who's walking along their path. When I finished reading the novel last night, an epub version of it on my Nook Book, the 25th birthday gift from my sister and brother-in-law, I felt infinitely grateful for having the elder sister I have. We don't see eye to eye, and we have gotten on each other's nerves a fair few number of times - but we love each other so much. I thought about all the times I'd believed she was being nosy, but in reality was trying to keep me from being hurt. I thought about all the times, I'd cried about things and she bought me chocolates to make me feel better. I thought about all the times she'd yelled at me for owning way too many cats and kittens, and then caved in when she saw how truly adorable they could be. I thought back to the time when I was struggling and she would hug me, trying to make things better. 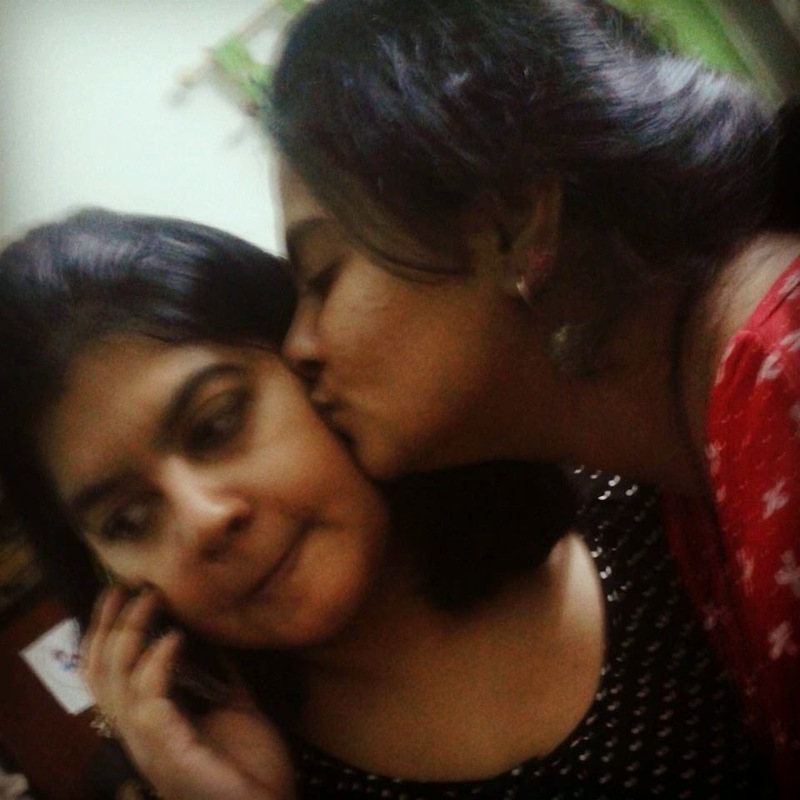 Whenever I would complain to my mother about her, my mother would smile and say, "She's little too, you know." That was her way of saying no one is perfect. Not even the one's we perceive to be perfect. I could relate to Laurel's idolizing of her sister. Believing all of May's stories, and following her down a road which wouldn't do anyone any good. My sister's told me stories too. I've lost count of times she's claimed my parents' got me from a fisher woman. She laughs about how I had four hair and three teeth as a baby. She tells me she thought I was a little red lobster, that she always wanted a little sister, and that the first thing I'd done as a newborn was smile at her in my sleep. I don't know how I'd known back then that she was my sister. She was the one who gifted me the love I have for stories, for books, for words. She would read my poems and tell me I could be a writer some day. She was so proud of me when I finally fulfilled my dreams....and continues to read whatever I write still now. I know it's all a story, but I wish May was more like my sister. Had she been able to hold her own against the world, she wouldn't have hurt herself or hurt Laurel in the process. As I finished Love Letters to the Dead last night, I realized that I'm really lucky. To have a sister like her...to share her world without having to really beg or ask, to share the common love for books. Elizabeth Fissel had once said, "A sister is both your mirror and your opposite." I couldn't agree more! 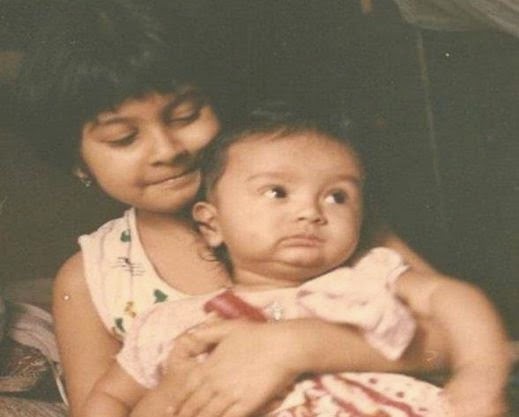 Swarnali Das, Arpita Mahapatra, Soumma Roy Chowdhury, Prantika Mandal, Rini Tarafder, Benazir Ajmal, Amrita Dutta Chowdhury, Sunaina Mitra and Apala Sengupta. Would surely read the book now. 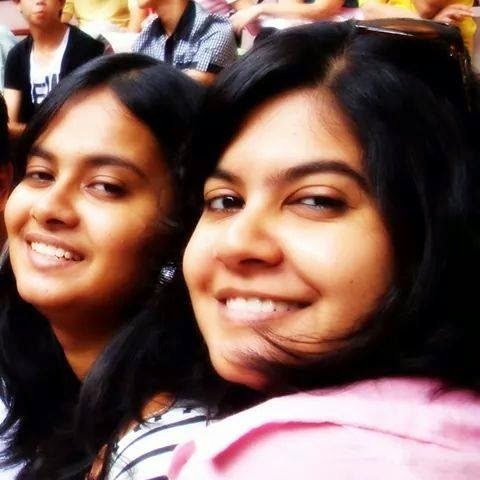 I too have a beautiful elder sister. We are not always arms in arms but always there to support, help, care, share happiness and worries together. my sister and I are really close. :) And as I read the book, I realized how easily she could have gone astray. But she didn't.